Another huge chunk of progress made at Page Hill Sunday! We had a modest sized crew but we diversified and managed to get a lot done. 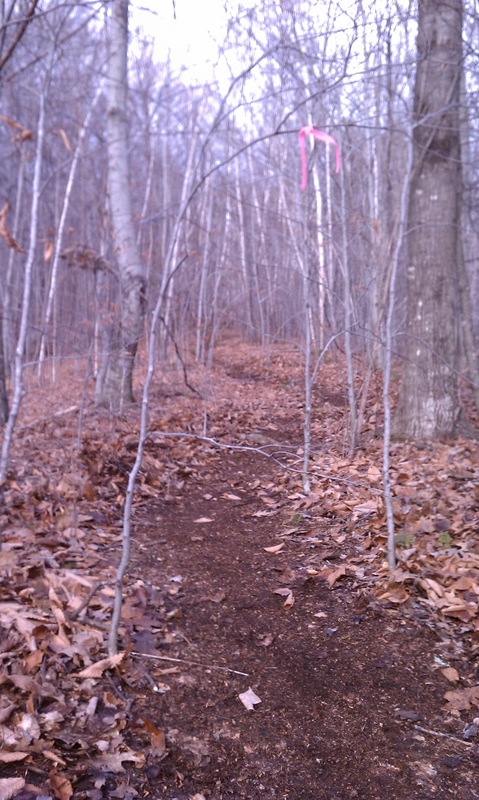 It was a little brisk first thing in the morning but the weather came around and it ended up being a perfect day for trail work. 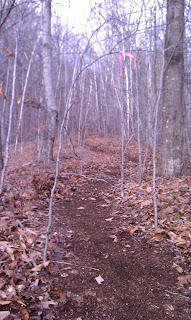 Grant finished up leaf blowing so all trails are buff and ready for Fall riding. 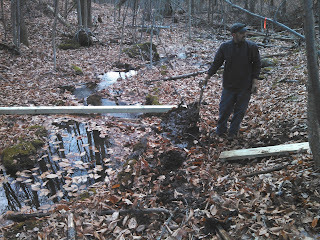 Bridge materials were brought out to Hydra and the bigger of the two bridges was completed to span a wet ravine area. We also refined some bench sections on Hydra and used the ground pounder to bed things in a bit. Kevin and Joe P. started work on 'Magikal Mystery Tour' and made a good chunk on progress on that front. We haven't quite punched it through but it is close and we will most likely try and sneak in another impromptu trail day in the next few weeks to finish it off before the flakes fly.